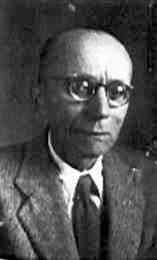 Avraham Ben-Yitzhak, pen name of Avraham Sonne (1883-1950) was born in Galicia. He received both a traditional Jewish and a secular education, and then studied at the Universities of Vienna and Berlin. In 1913-1914, he served as visiting lecturer in Hebrew literature and psychology at the Jerusalem Teachers' Seminary. After a brief career in the Zionist organization, he served as teacher and principal at the Hebrew Teachers' Academy in Vienna. After the Nazi Anschluss of Austria in 1938, he emigrated to Eretz Israel and settled in Jerusalem. Although he published only twelve poems during his lifetime, Ben-Yizhak is considered a distinguished figure in modern Hebrew poetry. Most of his poems appeared before World War I and immediately attracted attention. Two selections of his poems were published posthumously. The final collection (1992) included unpublished poems discovered after his death.